In October 2009, the New Zealand Herald published an interview with Robert Pattinson in which he spoke candidly about his upcoming roles including his role as Georges Duroy in Bel Ami. Rob emerged from Bel Ami pre-production today in London to participate in the Hope for Haiti telethon and appears to have maybe started gaining some weight…hot pockets and Heineken anyone??! Another requirement for Bel Ami is facial hair (think mustache), and the boy can rock a beard! He looks so great! 9 Responses to "Robert Pattinson says he’ll have to gain weight for Bel Ami"
Me too, looking forward to some non-twi roles for Rob. 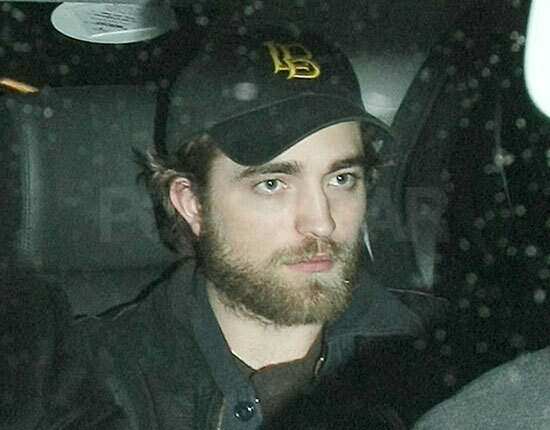 When I hear people bitching about Rob’s beard/appearance, I just wish they would read the quote in your post. Remember before Twilight started filming and Rob went on location a month early to try and get in Edward’s head? It’s called method acting, people. He’s getting in to character. Not to mention the fact that he probably has to shave three times a day to play Edward. Why wouldn’t he want a break from that? Let’s face it, the boy can rock any look. I can’t wait to see the look he rocks the ladies in for this movie. Just sayin’.